Although there are some excellent clinics in the United Kingdom some people still look at clinics in many different countries when it comes to having eye sugary abroad. The reason for this will often be the cost and waiting times as the NHS often has long waiting lists and some private clinics here may be out of their price range. It would be wrong to say that there are fewer regulations covering clinics carrying out eye surgery abroad but it will be best to check out their record and reputation before applying to be a patient there. When having eye surgery abroad there will be some places that are easy to get to and also some that are going to take a long plane journey. The good news is that in many cases it will be possible to have a consultation and aftercare in the United Kingdom. This way a lot of money will be saved as you won’t be going to another country only to be told you are not a suitable candidate or not having to make three or four visits for each procedure. There is a difference in the cost of eye surgery abroad compared to the United Kingdom but there is also a difference in the cost of the treatment between different countries. 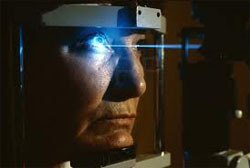 Using cataract removal as the treatment to compare here are some of the prices that you can expect to pay. With cataract removal the cataract which is milky film that forms over the eye is taken away and therefore more light is able to get into the eye and this greatly improves the eyesight. The prices listed are the prices once they have been translated into sterling from the local currency. Cyprus - £1,352 a 42% savings. These prices show the highest down to the lowest percentage saving although there are a number of other countries in between. When looking at eye surgery abroad locations you will have additional costs on top. You will obviously have to get there and it will not be likely that you will be able to stay any less than a week. As a result there will be hotel costs and the money that you will need day to day. As some of the clinics are in countries that are considered to be a good place for a holiday in some cases it will be possible to combine your surgery with a break in the sun – although it will often mean you have to stay out of the sun. It also needs to be kept in mind that you may not be able to move far away from the clinic if you have to go back to have check-ups and collect medication.